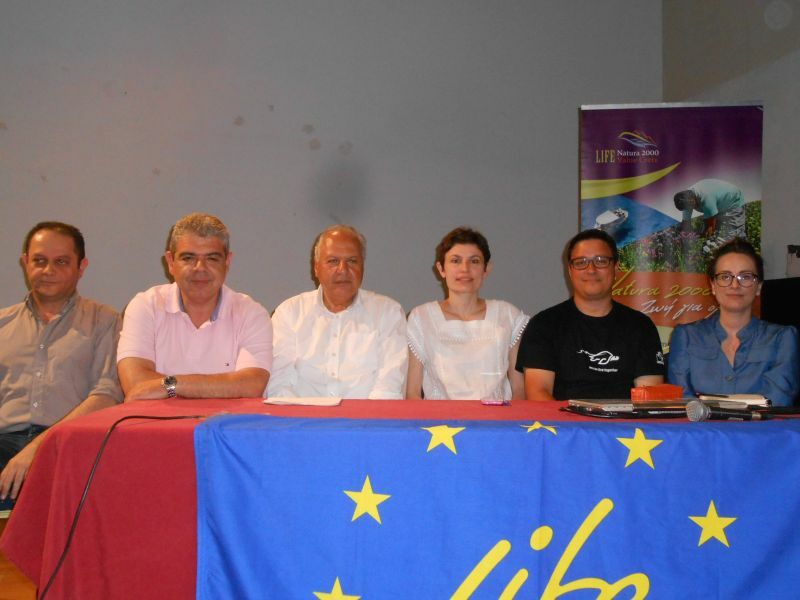 The project team of LIFE NATURA 2000 Value Crete visited Rethymno in order to celebrate the World Environment Day on June 5, 2018. The event took place in collaboration with the Marine Turtle Protection Society ARCHELON and the Municipality of Rethymnon and involved a press conference and a floor game for pupils of 5 local primary schools. Early on Tuesday morning the representatives of all the three co-organizers gathered together at the House of Culture of Rethymno where local media where invited to attend a press conference devoted to this year’s theme of World Environment Day namely: “Beat plastic pollution”. Invited speakers were also the Lawyer Mrs Maria Maniadaki, coordinator of the Environmental Law Observatory in West Cret, Mr Vasilis Myriokefalitakis representative of the Development Programming Department of the Municipality, Mr Odysseas Paxinos Coordinator of the Volunteering team of Archelon in Crete and Mr George Georgalis, Vice Mayor of Education of Rethymno Municipality. 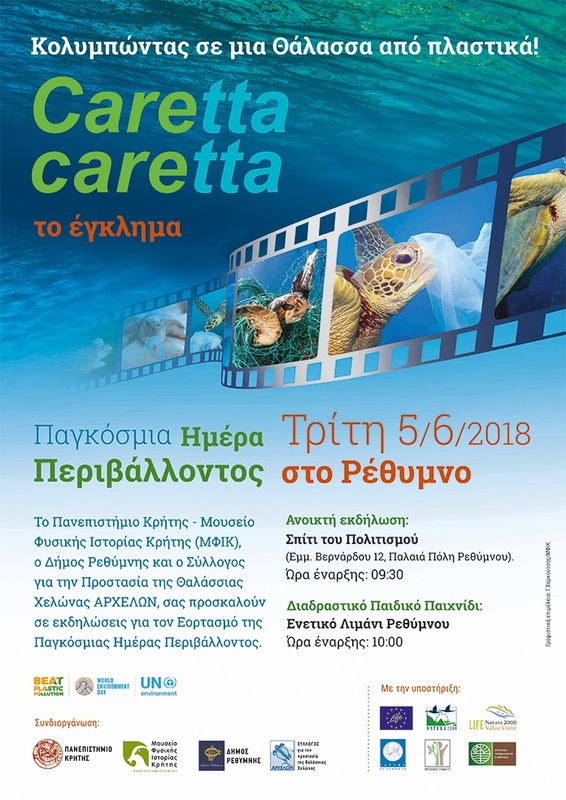 Mrs Georgia Piligotsi, Communication coordinator of LIFE NATURA 2000 Value Crete project, explained the services provided by the costal ecosystems and all participants highlighted the dangers for the protected marine species due to plastic pollution. Special reference was made to the sea turtle Caretta caretta. 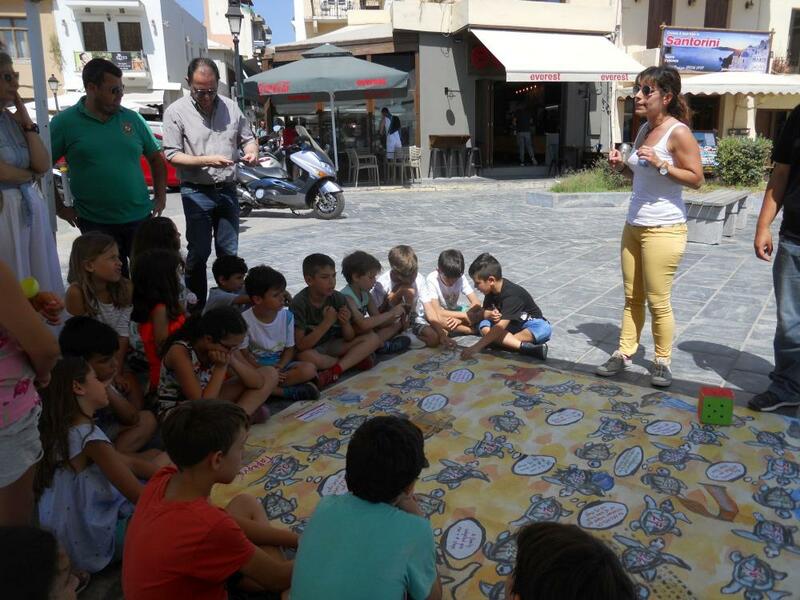 At the same time, an interactive environmental education workshop took place at the Venetian Port of Rethymnon. The workshop was addressed to 1000 pupils from 5 primary schools and involved a floor game signifying the dangers for the marine turtle Caretta caretta due to plastic pollution and other human activities. The whole initiative was based on the fact that the beach of Rethymnon, between Perivolia and Scaleta (GR4330004 - PRASSANO FARANGI - PATSOS - SFAKORYAKO REMA - PARALIA RETHYMNOU KAI EKVOLI GEROPOTAMOU, AKR. LIANOS KAVOS - PERIVOLIA), is considered as one of the three most important breeding sites of the sea turtle Caretta caretta in Greece and Mediterranean with approximately 410 nests per nesting season reported after a five year monitoring project by the Sea Turtle Protection Society of Greece.